Regular hearing tests help you to recognize hearing loss early on. When was the last time you had your hearing tested? See professionals where you can get your hearing tested. You have probably wondered already what will happen during an expert consultation. In order to prepare you for your first visit and address any worries you might have, we would like to provide you with some important information to help you in this process. info You should schedule about an hour for your first visit. If you like, you may ask a relative or friend to accompany you. Many people feel more secure that way. A friendly face by your side is particularly helpful if there are communication issues. The audiologist, hearing aid dispenser or ENT specialist will examine your ears. This is to check for problems like excessive wax or ear infections. After the examination, the audiologist, hearing aid dispenser or ENT specialist will do a hearing test. You will be given headphones and the expert will play a sequence of tones, some of these tones will be loud and easy to hear and some will be soft and a little harder to hear. The only thing you have to do is to let the expert know or press a button when you hear a tone. After the examination and hearing tests the expert will be able to tell you more about your hearing and your hearing loss. At the end of the consultation, the expert will explain all options available to you in order to recover your hearing. 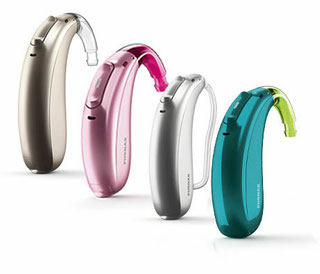 You will be shown a selection of hearing aids that are appropriate for your hearing loss. The differences and advantages of the products will be explained to you. info Now is a good time to ask all the questions you might have and to give the expert as much information as possible. The more he or she knows about you, the better the help you will receive. Therefore it is advisable to think about situations where you struggle with hearing (during family gatherings, during meetings, in loud environments, while watching TV, talking on the phone, listening to music etc.) before you come to the appointment. Phonak is a global leader in the development of hearing solutions. With our continuous efforts to find new solutions, we manage to achieve one of the highest innovation rates of the industry. Learn more about Phonak hearing aids. Phonak hearing aids are customizable to fit your needs, however they need to be optimized to make sure you stay tuned in, regardless of your whereabouts.